White City Retail Park is located in close proximity to the world famous Old Trafford, the football grounds for Manchester United. Fronting the main Chester Road arterial route it features 22 newly refurbished units. With over 40,000 cars passing this scheme on a daily basis and a catchment of over 2 million people, this scheme offers a wide choice of retailers to potential customers. 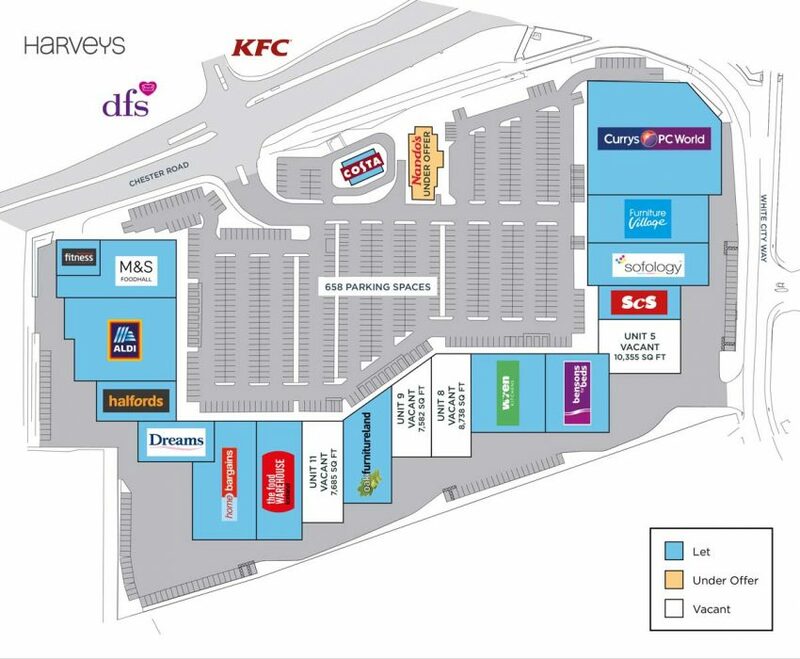 Key tenants in this scheme include Currys, Sofaworks, M&S, Oakfurnitureland and Halfords.